The most potent sensual jolt in the first book of Marcel Proust's In Search of Lost Time is felt when Charles Swann falls under the spell of "a little phrase" in a violin sonata by a provincial composer named Vinteuil. In creating Vinteuil, Proust ventures into an esoteric subcategory of fiction-stories about composers who exist only in the pages of books. 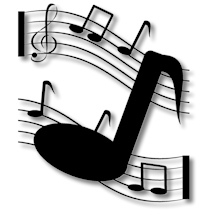 To read the literature of fictive music in sequence is to see the rise and apparent decline of classical music as a medium of cultural power. Writer describes the work of E.T.A. Hoffman and his fictional composer Johannes Kreisler, who affected the real music of the nineteenth century, inspiring Robert Schumann. 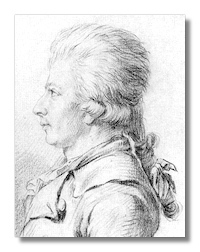 Tells about Balzac's 1837 novella Gambara about Paolo Gambara, an Italian composer living in Paris. In the second half of the nineteenth century, composers achieved almost godlike status in Europe and America. The cult of musical genius turned feverish in Romain Rolland's Jean Christophe, published in installments between 1904 and 1912, which tells the story of the German composer Jean-Christophe Krafft. Krafft fashions a synthesis of French and German musical values, but Rolland fails to give us a clear idea of what this sounds like. "In Search of Lost Time" traverses much of the same territory with far greater authority. Writer describes the inspiration behind and the music of Proust's fictional composer Venteuil. Thomas Mann, driven into exile by the Wagner-loving Hitler, decided to dismantle the myth of the Tragic Artist in Doctor Faustus: The Life of the German Composer Adrian Leverkühn as Told by a Friend, published in 1947. Writer describes Mann's use of sketches by Theodor W. Adorno in constructing Leverkühn, and Leverkühn's influence on real composers. Discusses Randall Jarrell's 1954 academic satire Picture from an Institution, which signaled a change in how novelists depicted composers and classical music. Contemporary novelists tend to see this world in tragicomic terms. If the present state of imaginary music seems bleak, science fiction suggests a brighter future. Kim Stanley Robinson's novel The Memory of Whiteness looks ahead to 3229 A.D., when a mechanical orchestra is the star act of the solar system. Imagine Balanchine watching a bunch of cheerleaders and you've got this book in a flash. Vignettes are its basic strength, as was bound to be true. 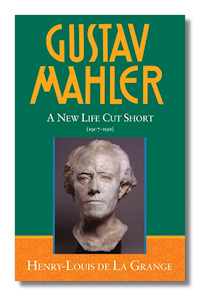 The subject of the twentieth-century European artists in exile is too big for one book. Jean-Michel Palmier proved it by publishing his pioneering compendium Weimar en exil (1988) as two books, one of them called Exil en Europe and the other Exil en Amérique. Since there could easily have been others – Exil en Australie would have been interesting – it will be appreciated that Palmier himself felt obliged to limit his purview. Joseph Horowitz gets the story into a single volume, Artists in Exile, by concentrating on a single destination, America, and even then he trims the field. His subtitle "How refugees from twentieth-century war and revolution transformed the American performing arts" leaves out the writers, painters, photographers and architects, which means we aren't going to hear much about any of the Mann clan, and nothing at all about Mondrian, Ernst, Léger, Moholy-Nagy, Mies, Gropius, Andreas Feininger, Lyonel Feininger … but let's stop. 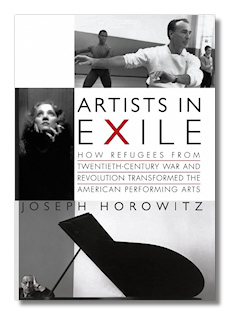 Horowitz gives us mainly those exiles who worked in music, theatre and film. Even then, there are more than enough names to be going on with: Balanchine, Stravinsky, Koussevitsky, Toscanini, Stokowski, Kurt Weill and Rouben Mamoulian are only the most prominent. Last month I witnessed an unusual spectacle: the Bergen Music Festival in Norway. After three or four curtain calls, clapping in unison began and, as if by prearranged signal, everyone stood at once in enthusiastic acknowledgement. The orchestra that did the playing was the visiting Stavanger Symphony Orchestra conducted by Ole Kristian Ruud. The music that did the arousing was a new "reconstruction" of the Julekvelden (Yule Eve) Symphony No. 1 by Geirr Tveitt. 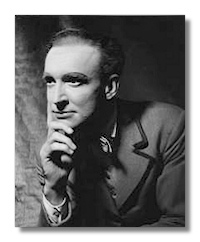 Geirr Tveitt (1908-1981, rhymes with "fire fight") is virtually unknown in this country, but the hundredth anniversary of his birth was being celebrated by the concert I attended, and other concerts elsewhere, for good reason. His music, in its stark power, speaks to the overwhelming influence of nature on those living among the deep fjords. 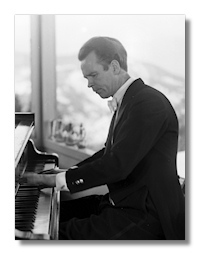 His technique, superbly developed at the Leipzig Conservatory and subsequent studies in Paris and Vienna, was second to none of his generation of Norwegian composers. The range of expression found in his Hundred Hardanger Folk Tunes suites, and the instantly recognizable originality of his sound, makes him an artist of international significance. Growth rings in the wood used to make Stradivarius violins in the 1700s may hold the explanation for their unparalleled sound, say Dutch scientists. 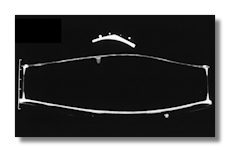 Researchers at the Leiden University Medical Centre in the Netherlands, who put the instruments through a computed tomographic (CT) scanner, published their research Wednesday in the online journal PLoS ONE. Many music lovers believe the classical violins made in Cremona, Italy, by famous masters such as Antonio Stradivari and Guarneri del Gesu, produce unique tonal expressiveness and projection. Despite three centuries of technological advancement, modern violin makers have been unable to duplicate the sound. The scientists, who tweaked a computer program used to analyze scans measuring lung density in patients with emphysema, said that may be because of important differences in wood from the 1600s and wood today. Unknown Mozart's compositions in Poland? Experts from famous Mazarteum in Salzburg in Austria will probably examine wheather compositions, which were found in musical collection in Jasna Góra, signed by Wolfgang Amadeusz Mozart, are really the famous composer works of art. On 24th April Polish Press Agency (Polska Agencja Prasowa) informed that in collection in Jasna Góra, unknown Mozart's compositions may be found. On 2th May, during International Festival of Sacred Music "Gaude Mater" (Miedzynarodowego Festiwalu Muzyki Sakralnej) in Czestochowa, one of the composition, an aria, was peformed. When the choreographer Antony Tudor, whose centenary is being celebrated this year, moved to America in 1939, the moment could not have been more right. He was known as the psychological choreographer, and he arrived when psychology entered American popular culture. In 1938 Fred Astaire played Ginger Rogers's psychoanalyst in "Carefree"; in 1942 Claude Rains steered Bette Davis back from a nervous breakdown in "Now, Voyager." Later Martha Graham would become yet more famous for the Greek myths she turned into modern-dance psychodramas, but that phase – like Hitchcock's (notably in "Spellbound," 1945) – had not yet arrived. Back in 1936, however, in none-too-psychology-friendly London, Tudor created "Jardin aux Lilas" (sometimes called "Lilac Garden"), often labeled the first psychological ballet. Nobody played a psychiatrist in it, but its steps, gestures and phrases showed flickering aspects of repression, denial, private longing, heartbreak, personal conflict and hypocrisy, all against a setting both romantic (a garden with lilacs in full bloom at twilight) and conformist (with characters in Edwardian dress, middle-class and formal). After hunting the missing manuscript down in a German archive, Czech conductor revives "Argippo"
A long-lost opera by Antonio Vivaldi was to have its first performance in centuries last night. Argippo, discovered by a Czech musician as he rummaged through an old archive of anonymous scores, was being staged at a castle in Prague, the city where it had its premiere in 1730. Fittingly, it will be conducted by Ondrej Macek, the man who found the manuscript, and played by his Baroque Music Ensemble Hofmusici. 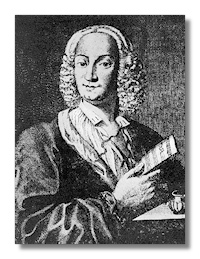 Vivaldi, called by contemporaries "the Red Priest" for the colour of his hair, is known these days, to all but serious lovers of Baroque music, for a single work: The Four Seasons. 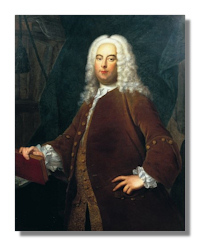 However, he was a prolific composer who produced more than 500 concertos, 73 sonatas, numerous pieces of sacred music and 46 operas. One of them, Argippo, opened in the Palace of Count Spork in the centre of Prague 278 years ago. The Czech capital was then a city of arts with some of the best music of the time, often performed by the continent's most prominent singers and musicians. Seldom shown for lack of funding, the Claremont Colleges' rare musical instrument collection is sold. For lovers of rare musical instruments, the Fiske Museum at the Claremont Colleges long has been an astonishing if somewhat mysterious collection. Its 1,200 instruments from around the world include an 18th-century Italian mandolin, unusual over-the-shoulder military brasses from the Civil War era, a gourd fiddle from Africa and a 9-foot-long temple trumpet from Tibet. The museum had limited visiting hours at its home in the windowless basement of Bridges Auditorium for three decades, and then it closed altogether 16 months ago, partly because of a lack of upkeep funds. Now, almost the entire batch – harpsichords, pianos, clarinets, banjos and cymbals – will leave its home in Claremont and be sold for an undisclosed price to a music museum under construction in Arizona. 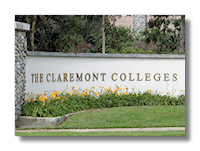 The move is triggering strong protests from some music faculty members, who say Claremont is losing a cultural treasure. But other officials are expressing relief that the collection will have a better-funded steward and a lot more public exposure at the new Musical Instrument Museum in Phoenix, an ambitious project financially backed by Robert Ulrich, chairman of Target Corp.